This trip was originally planned for Providence Canyon, but Jim decided to lead the group on an excursion to Stump Hollow to avoid the icy conditions and lack of snow at lower elevations. Here, we found base of about 2 feet of softly crusted snow, topped by a fresh 4 inches of powder from the previous day. 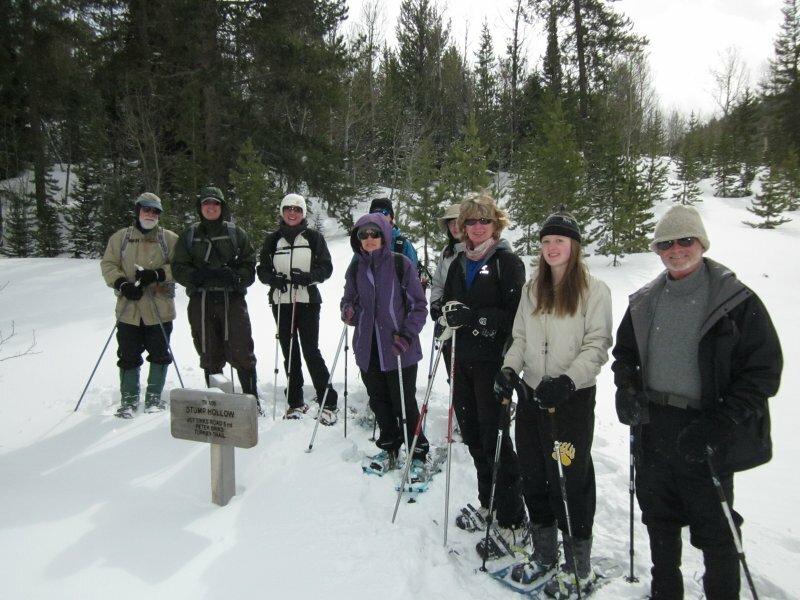 This was designated as a "snowshoe only" trip to accommodate the narrow terrain of Providence Canyon, but skis would have been fine for this alternate destination. Ten people participated: Jim, Dave P., Dave W., Jeanne, Tim, Jane, Christine D., Norma, Christine B., and Carol (a visitor from Chicago, Carol found our website and decided to join us while vacationing). We saw several large dead trees along the way, apparent victims of pine beetle attacks. Researchers had removed round patches of bark and circled the trunks with fine mesh on some trees. We also spotted evidence of porcupine feeding, tracks of snowshoe hares and squirrels, and chickadees entertained us with their lively calls. Our total trip distance was 2.7 miles with 400 feet of elevation. 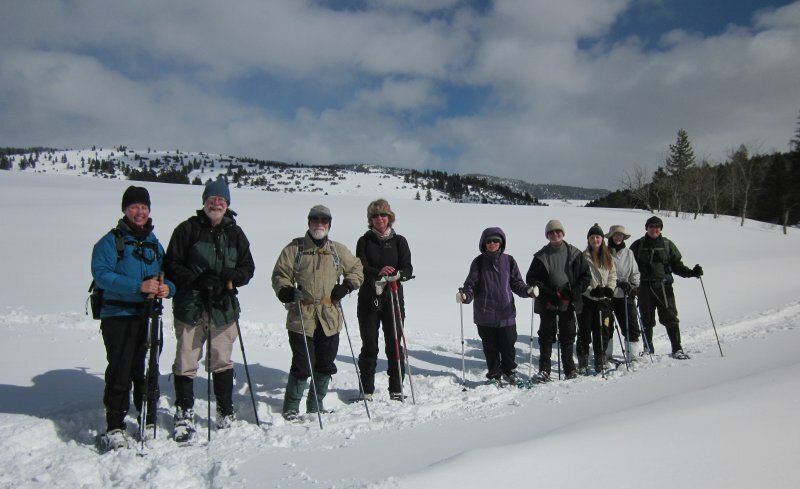 The Stump Hollow trail leads to Peter Sink, one of the coldest locations in the continental U.S! The sun came out on the way back, brightening our way and providing a bit of welcome warmth on this chilly day.